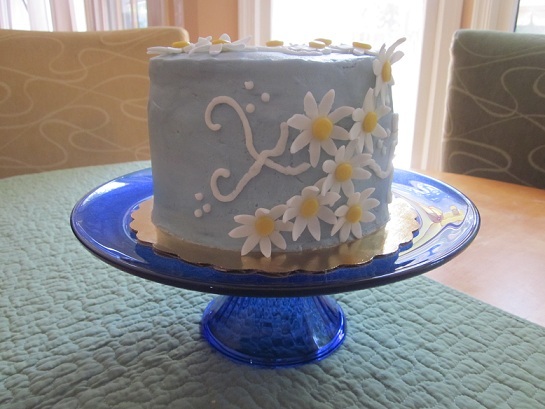 For a baker that just started out in January 2010, Edie Perra has it all together. She started her business as a fundraiser source to help out a friend with cancer who did not have medical insurance coverage. Her cakes were so good that people from church began to place orders for various events, and the fundraiser turned into a part-time business, that, to me, sounds more like a full-time business based on the amount of time and energy she puts into it. Cakes by Faith was born out of Perra's faith of helping mankind. Edie Perra and her husband, Michael Perra, both bake and decorate cakes, pies and cookies together. They are booked solid from now until the end of 2011, and that tells me a lot--especially since their only marketing is word-of-mouth and Craigslist. They donate 10% of each sale to their church's ministry, which helps not only with medical expenses, but also helps to provide basic needs such as toiletries and socks to the poor and homeless in Durham, NC. Apparently, baking runs in the family, as well. The Perras' daughter, Morgan, is 12 years old and has already placed first for her pound cake at the NC State Fair Youth Division. Although she loves to bake, she aspires to train people to ride horses. Her mother says she's a cake lover, "but loves horses more than she loves cake." I tried the white chocolate cake first. It was dense, flavor was amazing, good texture and the frosting was thick and heavy. This cake tastes like the traditional wedding cake that I grew up loving, so I am quite fond of the cake, and the daisies were a beautiful touch to a buttercream iced cake. In fact, I believe we use the same marshmallow fondant recipe--as I loved the fondant quite a bit. The second cake I tried was the lemon cake. Although the cake was not as lemony as I expected, the lemon filling brought the cake together. This cake was lighter than the first with a very buttery taste to it. 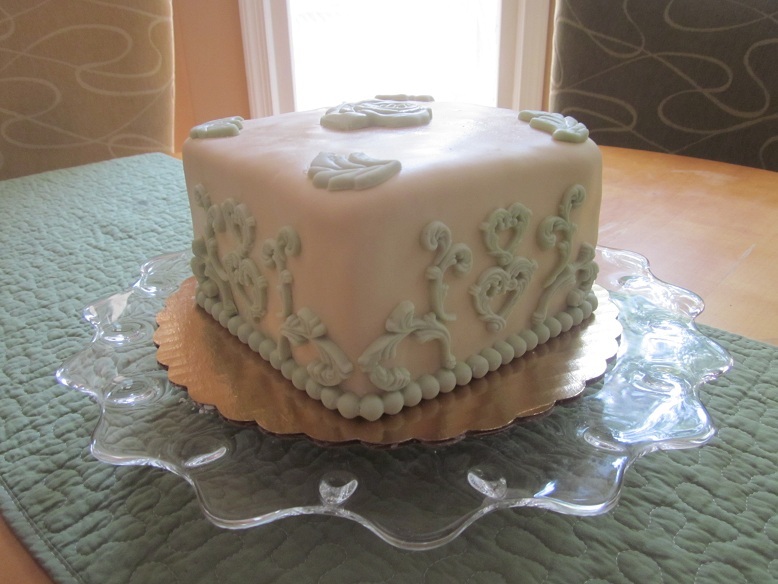 It was decorated with fondant cut-outs that was very appealing to the eye and palate. Cakes by Faith uses cake flour, real butter, and usually bakes at a lower than suggested temperature for a better texture. Although she has a wide variety of flavors, she likes to keep flavor choices simple. Part of her success lies not only in carefully baking and decorating, but in the customer service she provides, which keeps current customers returning and referring new customers. I think Durham has itself a winner!